The Hull to Zeebrugge ferry route connects Hull, a city in Yorkshire in the north east of England with Zeebrugge in Belgium which is the port for Bruges. 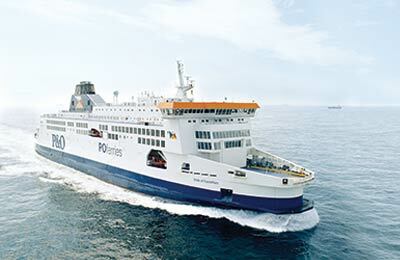 The ferry route is operated by P&O Ferries. There are up to 7 crossings per week and the crossing time is approximately 15 hours. This route accepts foot passengers and all vehicle types. When you book with AFerry there is no need to enter a voucher code, we always give you access to the latest offers and discounts. When should I arrive and check in? You'll just need your booking reference and passport to check in. You won't have to print off a ticket before you board. Foot passengers should go to terminal 2 and car passengers should go to terminal 1. Follow the signs to passport control. Present your passport and booking reference. You'll be given a lane hanger to attach to your rear view mirror. If you have a pet, you'll be asked to complete a pet manifest. You'll be guided to your correct lane and when it's to board, you'll be guided on to the ferry. If you have pets, you will be positioned opposite the kennels. After boarding you will be then be directed to the passenger deck to collect your cabin keys. If you have pets, after boarding you must immediately take them to the kennels. Staff can assist you with this. Sailing on this route is bound to be an enjoyable experience. With live music, a casino and a cinema, you won't be bored. In the show lounge, you can see bands, singers and cabaret throughout the evening. If you want to dance, head over to the disco or if you feel like a quiet drink, you can do that too in one of the bars. And if you think your luck is in, try your hand at the casino. If you fancy something more relaxing you can catch one of the latest movies in the onboard cinema or just sit back and be entertained by the onboard pianist. If you're travelling with children, you'll find plenty of ways to keep your little ones busy. There are colouring backs and a play area too. And of course, you'll find toys and sweets in the onboard shop if they deserve a treat. If your kids are a bit older, there's also the cinema and video arcade. Sail in the summer and your kids (5-11 yrs) will also have the chance to meet Pirate Pete for group activities and see shows like Treasure Island and the Little Mermaid. . The Brassiere: A fine dining experience if you want to spoil yourselves. Hull Ferry Port main terminal is located in King George Dock and is operated by P&O Ferries. The City of Hull offers world class entertainment and visitor attractions, as well as having the magnificent Humber Bridge - the 3rd longest suspension bridge in the world - at its gateway. Bruges / Zeebrugge Ferry Port has a long history which dates back to the beginning of the Christian calender with periods of affluence but also of decline. Every year more than a million passengers pass through Zeebrugge Ferry Port. 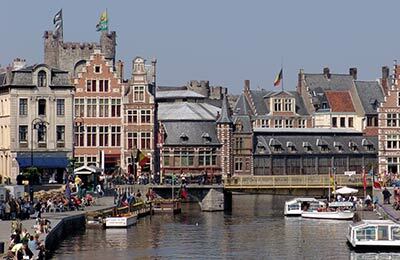 Zeebrugge is an excellent starting point for exploring Flanders. Just a few miles away from Zeebrugge you will find the splendid medieval town of Bruges with its canals, historic buildings, great restaurants and famous chocolat. Or drive from Zeebrugge to Antwerp, the diamond center of the world, which takes about 80 minutes and admire its stunning architectural delights. You could also drive two hours and go to Brussels, the bilingual capital of Belgium, to visit the famous Grand Place, one of Europe's most beautiful squares. Travelling as a group of three. Extremely smooth journey, with excellent berth facilities. All staff found to be very helpful and pleasant. Our return journey on the 27 28 March berth found to be very basis and sad, really needs a refurbish updating. We usually travel to Europe from Calais. Thought we would try Hull for a change. After the fuel savings this was definitely the best option, especially as we did not have the stressful driving to get to Dover. We will definitely use Hull to Zeebrugge again. I'd say its a much more comfortable than traveling through Dover, however its an expensive option with absolute rip off in the restaurant. £110 for breakfast and evening meal for a family of four for the poor food quality its a bit of the nonsense. Cabins are tight, but clean and just for a sleep over night good enough, providing one person at the time is getting change, while others are on the bunk beds (claustrophobical cabin). Entertainment was on the good level with something for every individual. Generally, nice time, but expensive for what you get.